Changes in Fashions of The Antiques Auction World. – Vivienne Milburn – 23rd April 2018. Vivienne is an inde­pend­ent antiques valuer and auc­tion­eer, based in Great Longstone, near Bakewell, Derbyshire. This means that she is not tied to one auc­tion house and will put client’s goods in the best auc­tion for its genre ensur­ing that the optimum price is obtained. 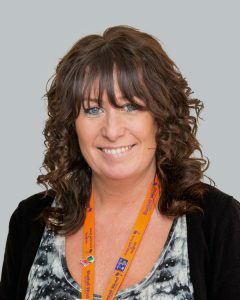 A lot of her work is for cli­ents who are ‘downs­iz­ing’, for insur­ance valu­ations and pro­bate pur­poses. She likes to think that her cli­ents can bene­fit from the true value of their pieces rather than the people spe­cial­iz­ing in house clear­ances. It is quite sur­pris­ing how some incon­sequen­tial look­ing pieces can have a very high value. Apart from work­ing for private cli­ents she also gives talks to vari­ous organ­isa­tions includ­ing Probus and the U3A about the chan­ging fash­ions of the antiques auc­tion world, and invari­ably she asks that her audi­ence bring along their own pieces for valu­ation; a sort of private, ‘Antiques Road Show’. This was the format of her talk to us. She star­ted by dis­play­ing a slide of a typ­ical 1960’s lounge con­tain­ing min­im­al­istic fur­niture, show­ing tubu­lar steel dining chairs and table, a ladder book­case, a simple stand­ard lamp and a high winged arm­chair. Ten years ago, this type of fur­niture would have been vir­tu­ally worth­less. Before this period most fur­niture was made entirely from wood but in the 60s many more mater­i­als were intro­duced includ­ing steel and plastic and now young people can’t get enough of it caus­ing its value to go right up. A wall unit man­u­fac­tured in the 60s sold for £750.00 a few weeks ago and a side­board, dining table and six chairs sold for £3,500. She sells for cli­ents all over the coun­try because vari­ous parts of the UK have interests in dif­fer­ent styles. As an example, she said that G Plan fur­niture might fetch a few hun­dred pounds in Yorkshire but in Essex it would be more like thou­sands of pounds, simply because the style is desir­able there. She talked about the effect of China on the market and espe­cially on Chinese goods and by that she was not refer­ring to Chinese goods made for export. 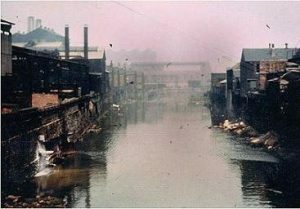 During the Chinese cul­tural revolu­tion, the vast major­ity of the people suffered ter­ribly and were exceed­ingly poor. Now that the eco­nomy of China is becom­ing one of the lead­ing eco­nom­ies in the world people are want­ing to own Chinese arte­facts which have found their way into the Western world and their value has increased many times over. One mono glazed vase sold for £26,000 and a jade Tarchens thumb ring sold for £21,000. Silver and gold jew­ellery also can com­mand a high price. An amber neck­lace fetched £25,000 because of its Chinese intent. 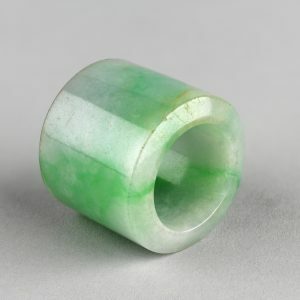 A single stone 3 carat Diamond ring sold for £11,000. Northern art is also in demand. A small paint­ing by Arthur Delaney in the style of Lowry sold for £6,800. Tin plate toys made by Mettoy of Northampton are also col­lect­ors’ items. The firm was star­ted in 1933 by the German, Philip Ullman who had a toy com­pany in Nuremburg called Tipp & Co. He fled Germany in 1933 when Hitler came to power because he was a German Jew. The last half an hour of the morn­ing was given over the valu­ation of some mem­bers items, like the ‘Antiques Road Show’. Some mem­bers were pleased with what they were told but I have no doubt that many were dis­ap­poin­ted. The morn­ing was very edu­ca­tional, enter­tain­ing and very well presen­ted and the club mem­bers showed their interest and appre­ci­ation by the ques­tions they asked and the applause they gave Vivienne at the end of the meet­ing. In Praise Of Trees — Patrick Harding — 15th January 2018. What is a tree and what is a bush or shrub? Very often we tend to refer to cer­tain shrubs as trees when in actual fact they are not. For a plant to be classed as a tree it must grow to at least 6 metres tall and have one single stem or trunk which is covered in bark. It should also have 1 to 2 metres of clear trunk before any branches are formed and above all it must be per­en­nial. During the ice age Britain was devoid of any trees and it was only when the ice melted that trees began to gradu­ally migrate north­ward from the warmer parts of the con­tin­ent. At this time sea levels were much lower and the English Channel did not exist. It was only when the polar ice caps began to melt caus­ing sea levels to rise that the English Channel was formed making Britain an Island. Prior to this both humans and anim­als could walk across from France to England bring­ing plant life with them. Seeds of trees and other veget­a­tion were also car­ried on the wind. About 30 spe­cies of tree came to Britain before the sea level rose about 6,000 BC and we call these our native trees. We also know that 70% of the land mass was covered by trees before the advent of man. 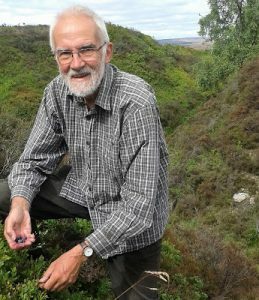 We can also tell what sorts of trees were here many thou­sands of years ago by dig­ging up peat and mud samples which con­tain the remains of their pollen grains. Early man cut down trees to make graz­ing land for cattle, to build shel­ters and to get wood for fires but they did not remove the stumps because that was much too dif­fi­cult with the prim­it­ive tools that they had. The tree stumps sprouted lots of little stems and these were found to be much easier to cut for fire­wood and to weave into fences etc. and this prac­tice, which dates back to at least 3,800 BC became known as cop­picing. As man developed wood was used more and more for tools, machines, and fur­niture. Different spe­cies of wood have dif­fer­ent prop­er­ties. Some are springy, some are brittle, some hard, some soft and some are splin­tery. Man learned to use these dif­fer­ent prop­er­ties in com­bin­a­tion and so for instance, a wheel is made up of 3 or 4 dif­fer­ent spe­cies of wood to give max­imum life and per­form­ance. For hun­dreds of years wood has been used in build­ings and ships. In more recent years it has been used in mining and as sleep­ers in rail­way track. The bark of the tree is also used in the tan­ning of leather, which is a pro­cess of turn­ing animal hide into leather. This of course has had an enorm­ous effect on number of trees in Britain. By the First World War in 1914 only 7% of the coun­try was covered by trees and we ran out of wood. In 1919 the Forestry Commission was set up to grow trees and we now have 14% tree cover made up of many hun­dreds of dif­fer­ent spe­cies. Patrick’s talk was both edu­ca­tional, inter­est­ing and humor­ous and the vast major­ity of our mem­bers classed it as excel­lent. The True Story Of Burke And Hare — Prof. Christopher Dorries OBE. — 30th October 2017. The true story of Burke and Hare was nar­rated to us in a most riv­et­ing way by Christopher Dorries and this precis does not do it justice. The title con­tains the word,“True” because there have been many stor­ies about them which are largely inac­cur­ate. Firstly they all say that Burke and Hare were grave rob­bers, which they weren’t. They just com­mit­ted murder for a busi­ness. 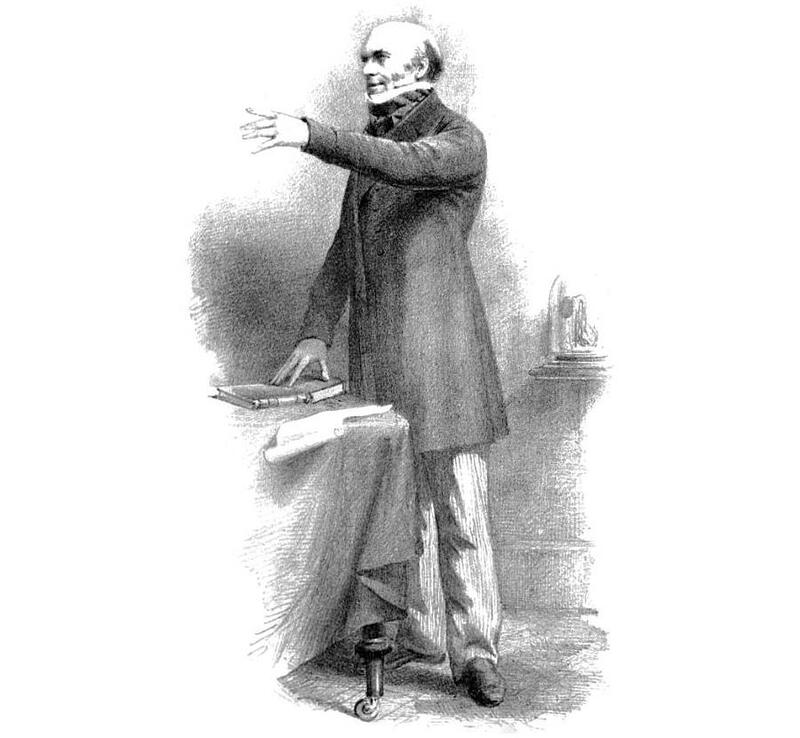 Secondly the stor­ies do not include Dr Knox who played a key role in the whole sordid affair. The story starts in Edinburgh in 1828, not among the fine build­ings of Princess Street but in the slums around West Gate. 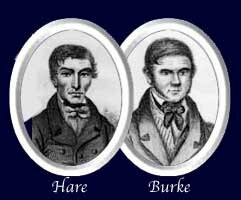 Burke and Hare lived in a lodging house run by Mrs Hare, which was, in itself, a very seedy place. One night, a tenant known as ‘Old Donald’ died in bed owing Mrs Hare £4.00 which was most unfor­tu­nate. ‘Old Donald’ was an itin­er­ant with no known rel­at­ives, so Burke and Hare decided to sell his body to the uni­ver­sity to recoup some of the money. As it turned out a Dr Knox was very pleased to pay between £7.50 and £10.00 for the body and said that if they came across any­more lying about in the gutter he would gladly have them. Burke and Hare saw this as a busi­ness oppor­tun­ity and rather than go grave rob­bing and risk get­ting beaten up they decided to simply murder their vic­tims without mark­ing their bodies. They did this by get­ting their chosen prey drunk and then taking them back to the lodging house where they dis­patched them by suf­foc­a­tion or burk­ing as it became known. Two of their vic­tims were Mary Patterson, only 18 years old and James Wilson, again only 18 years old but known as being men­tally sub­nor­mal and called ‘Daft Jamie’. Mary was strik­ingly beau­ti­ful and so ini­tially Dr Knox pre­served her body in whisky and kept her for artists and stu­dents as a model“for the best illus­tra­tion of female form and mus­cu­lar devel­op­ment”. Mary was recog­nised almost straight away by the male stu­dents because she earned her living by pros­ti­tu­tion and doubt­less sev­eral had used her ser­vices. ‘Daft Jamie’ was murdered in the usual way but when his body was unpacked at the uni­ver­sity he also was recog­nised straight away so Dr Knox instruc­ted one of his assist­ants to remove the head and feet to hide his iden­tity, which was some­thing unheard of. By this time Dr Knox Knew that Burke and Hare weren’t just lucky in find­ing bodies but he turned a blind eye so that he could have a steady supply. They murdered between 16 and 20 people over a period of 10 months, February to November in 1828 but this has been exag­ger­ated to 30. They finally came unstuck when they murdered an Irish beggar known as Mary Docherty. A new coupled arrived at the lodging house and found her body under the bed. They went to the police but when they returned the body had gone. The police were sus­pi­cious of Dr Knox and so they went to his ana­tomy premises and found Dr Knox, Burke, Hare and the body of Mary Docherty. Dr Knox denied that he had any know­ledge that the body was a murder victim and the police accep­ted this but Burke, Hare and their wives were locked up. However suf­foc­a­tion in those days was dif­fi­cult to prove and evid­ence was flimsy, so the police did a deal with Hare who turned King’s evid­ence for his free­dom. Hare and his wife test­i­fied against Burke and his ‘wife’, Helen McDougal. Burke was found guilty and sen­tenced to the gal­lows but the ver­dict for Helen McDougal was ‘not proven’ and she was released. The Public Hanging Of Burke. 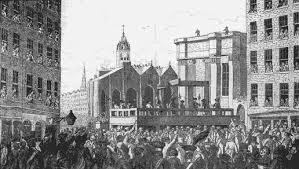 He was hanged in public at the end of January 1829 when a crowd of many thou­sands watched. He had a slow death, whether by design or acci­dent because the hang­man moved the knot and his neck wasn’t broken, he just strangled on the rope. Among the crowd was a woman called Maria Grotzholz, known to us as Madam Tussaud and a wax­work of Burke was on show in Liverpool within two weeks of his exe­cu­tion. The mem­bers of Stumperlowe Probus were enthralled by the talk and asked many ques­tions. Unfortunately some of detail has been left out but I hope you have been given an insight into the excel­lent present­a­tion by Prof. Christopher Dorries OBE. Wild Sheffield — Ben Keywood — 21st August 2017. Sheffield and Rotherham were once known as two of the dirti­est cities in the UK due to both gen­eral pol­lu­tion and smoke pol­lu­tion. I worked at a firm called Edgar Allen Steel Ltd., and one of the spe­cial steels we pro­duced was called AlNiCo, a per­man­ent magnet steel. It had a very low carbon con­tent of less than 0.02% and the only way we could achieve this was to blow oxygen into the molten steel, prior to tap­ping. This caused enorm­ous amounts of carbon diox­ide to be given off which was then fol­lowed by vast clouds of iron oxide, res­ult­ing in dust particles rain­ing down over the East end of Sheffield unchecked. Most of the steel com­pan­ies employed sim­ilar tech­niques without giving it a second thought. They also used river water for cool­ing and dumped chem­ical waste into them. The forges used steam ham­mers and the rolling mills were driven by steam engines; all this steam was pro­duced by burn­ing coal. In addi­tion to this every house­hold had at least two coal fires because cent­ral heat­ing was a luxury. This all began to change how­ever when the “Clean Air Act” of 1956 came into force. Clean air zones came into force pro­hib­it­ing the burn­ing of coal; firms had to install dust col­lec­tion and gas wash­ing sys­tems, and if water was extrac­ted from rivers for cool­ing pur­poses it had to be returned to the river cleaner than when it was taken out. Time has passed now and Sheffield and Rotherham are very n cities, looked over by the “Sheffield and Rotherham Wildlife Trust”. 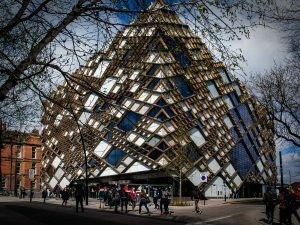 There are 47 such trusts through­out the UK which are nor­mally related to the county in which they oper­ate but, Sheffield and Rotherham dis­trict are the excep­tion. The dis­trict has at present, thir­teen nature reserves which the trust man­ages. Blackburn Meadows was once the site for the Tinsley sewage farm which pro­cessed all the sewage from Sheffield. 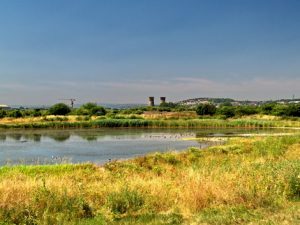 Now it is a stun­ning nature reserve with two lakes, attract­ing over 140 spe­cies of birds. Nestled in the indus­trial heart­land it is def­in­itely a place to visit. Centenary Riverside was con­struc­ted on the site of one of the largest steel pro­du­cers in the area. It acts as a flood plane to min­im­ise flood­ing in both the res­id­en­tial and indus­trial area of Rotherham. The past has not been for­got­ten. Large blocks of steel which have been dug up have been used to create “Steel Henge” and old indus­trial found­a­tions have become hab­it­ats for many spe­cies of birds. 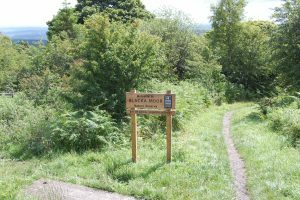 The Trust man­ages the nature reserves by build­ing and main­tain­ing foot­paths, fences, bridges, gates and many other things so that the public can visit and enjoy the reserves whilst at the same time making them places for wild life to flour­ish. The Trust depends upon its mem­bers and volun­teers and act­ively encour­ages mem­ber­ship to fur­ther there cause. 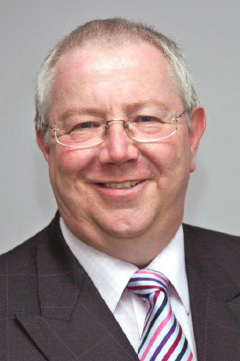 Ken is a very enthu­si­astic and know­ledge­able speaker and kept the club’s atten­tion through­out. Exterior view of the build­ing. 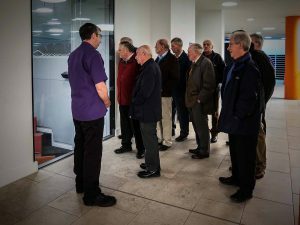 Thanks to Graham Snowdon, our sec­ret­ary, eleven mem­bers enjoyed a very edu­ca­tional visit to the Sheffield University’s latest and most expens­ive build­ing, the Diamond Building. It gets its name from the out­side facade which is dec­or­ated with dia­mond pat­terns. Some people hate it and others love it. At least it makes a state­ment. It is a sci­ence and engin­eer­ing, teach­ing and research facil­ity, with the emphasis on Research. The whole interior is designed to have an open spa­cious feel about it and max­imum use is made of nat­ural light. The cent­ral sec­tion of the build­ing is open with study pods on stilts to allow the nat­ural light to come down from the ceil­ing. 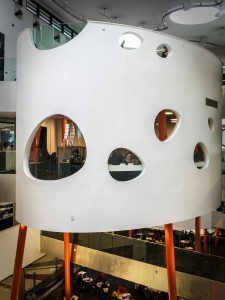 Each study pod has two levels, an inner level for quiet study, and an open top study area. Most of the labor­at­or­ies are around the cent­ral space and on sev­eral floors, whilst the lec­ture theatres are con­fined to the base­ment. The group look­ing into a lec­ture theatre. The build­ing is open for stu­dent study 24 hours a day, 7 days a week and it has the capa­city to cater for 4,300 stu­dents. The visit lasted approx­im­ately 2 to 2.1/2 hours with some mem­bers trying their hand at flying on the flight sim­u­lat­ors. It was an excel­lent morn­ing for the mem­bers that atten­ded and our grate­ful thanks must go to the uni­ver­sity staff who were so accom­mod­at­ing.